Eating fish can be very good for you, especially if you select a fatty fish that will have more beneficial omega-3 fatty acids. One of the fish doctors recommend most is salmon. Now, I love salmon, but I don’t love how most of the salmon I find in supermarkets is farmed. Even the farmed salmon labeled as sustainable is iffy to me. 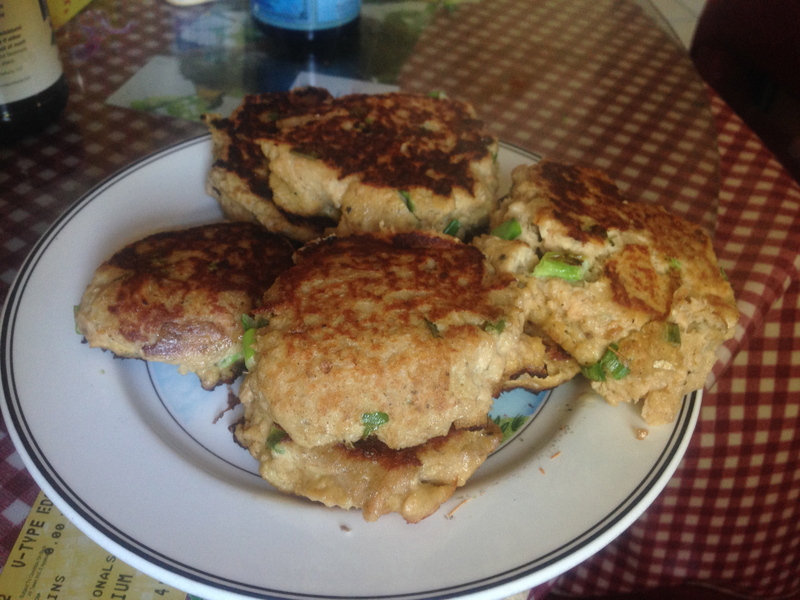 So when I saw this recipe for salmon cakes from the popular clean eating group 100 Days of Real Food, I was intrigued but immediately wrote it off. That is, until I read the comments posted on their Facebook page and saw that someone had suggested using salmon in the can. Why not? 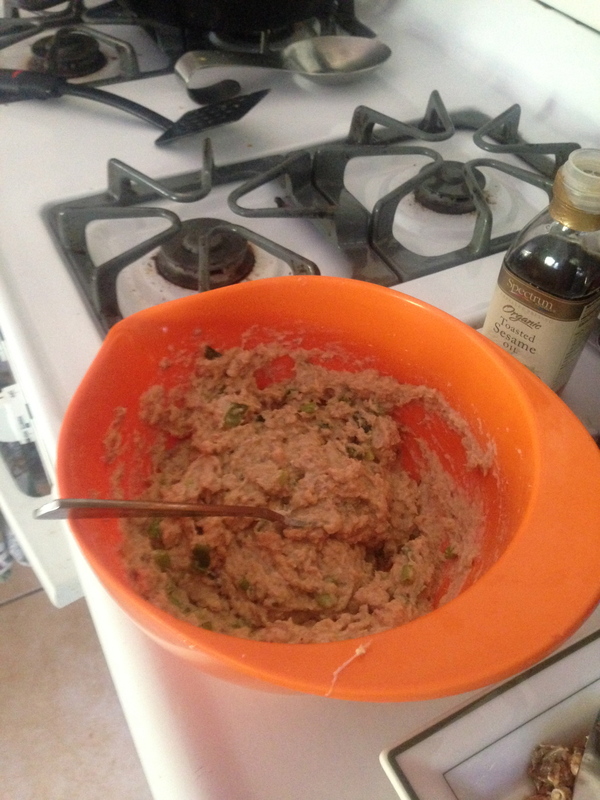 The recipe calls for cooked salmon and that is what canned salmon is. The other advantage? 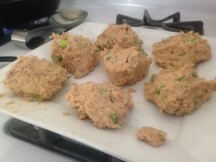 Canned salmon is often wild-caught. Wild salmon, particularly from Alaska, is usually the most sustainable kind of salmon you can find (notable exceptions include farmed Coho salmon raised in the US for sushi in closed tank systems). Last year was an exceptionally good year for salmon catches, too, with Alaska bringing in 272 million tons of this tasty fish. The U.S. Department of Agriculture will be purchasing the surplus salmon for food banks. So on my most recent trip to the supermarket, I took a peek at the canned fish aisle. 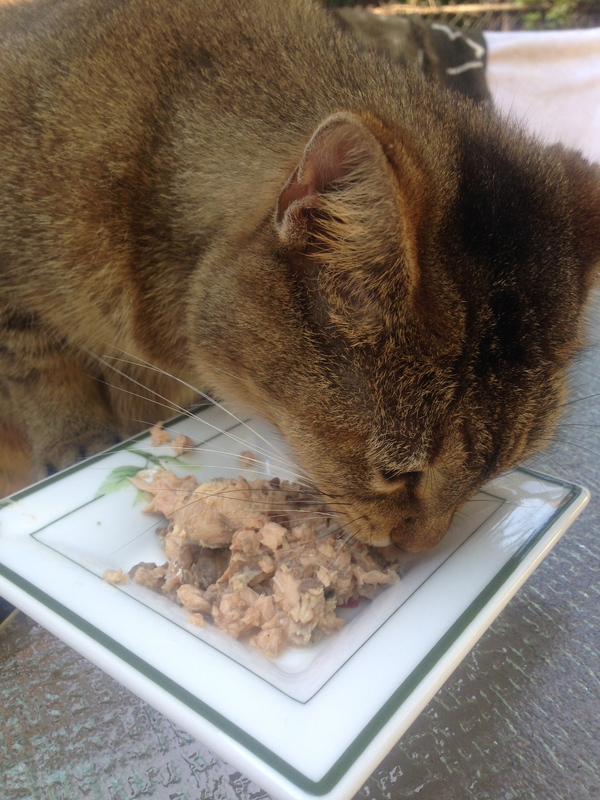 I hadn’t been there in a while since I have given up eating tuna. It took a while to get my bearings. But finally I saw what I had been looking for. 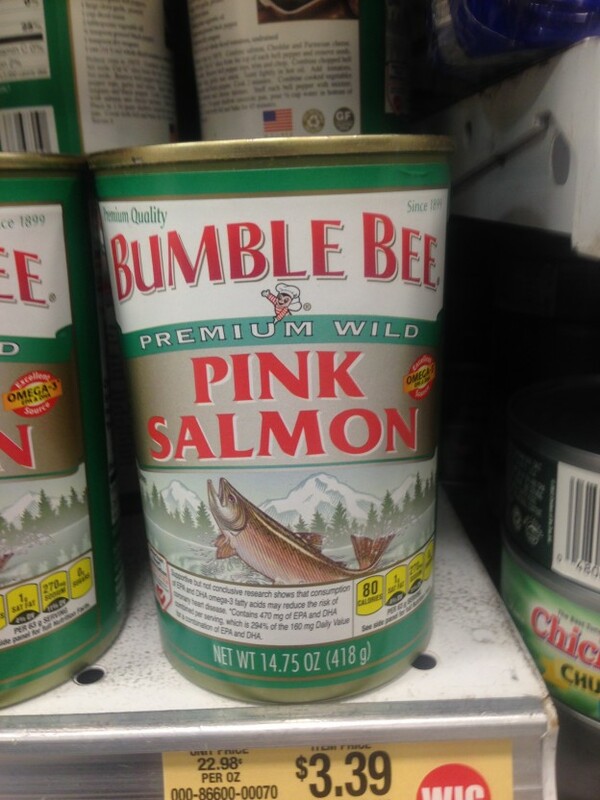 An enormous can of wild salmon. No more information than that, unfortunately, so I couldn’t tell you exactly where the fish that’s in the can comes from. But I can tell you this. 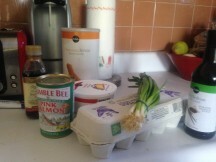 The recipe was very easy to follow and took no time at all. And the result? Delicious! What a nice alternative to the ubiquitous farmed salmon fillets when wild salmon can’t be found. And check out the price! $3.39 for protein to feed a family is a pretty good deal. 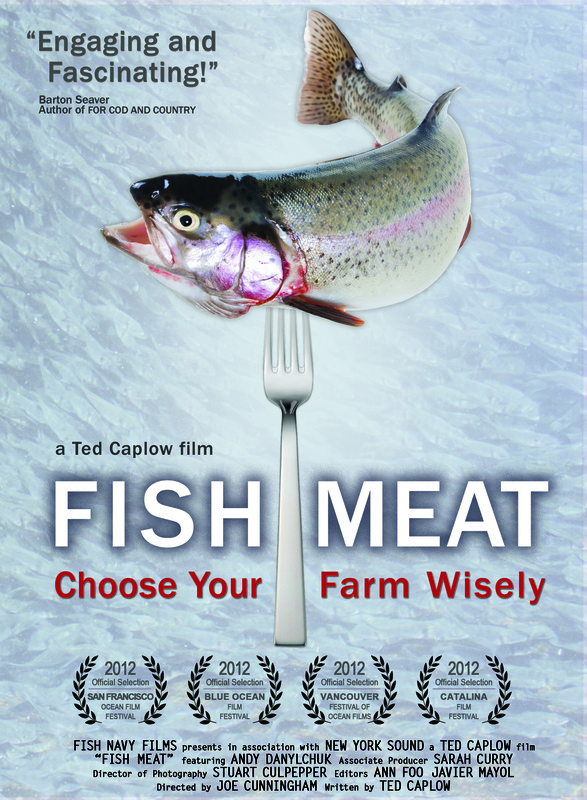 Now salmon isn’t the perfect food no matter how it’s farmed or caught. Salmon are still way up on the food chain. They’re essentially the tigers of the sea. And as we know, eating high up on the food chain isn’t ideal because these fish had to eat a whole lot of other fish. But everything is about moderation and doing what you can to make the right choices. Here is the recipe from 100 Days of Real Food. They have a lot of other great meal ideas and we highly recommend checking them out. 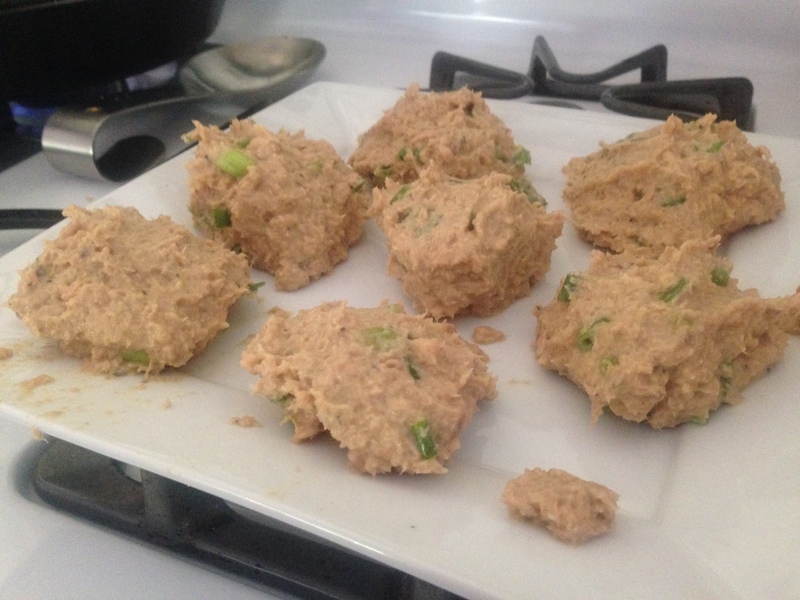 The canned salmon had skin and bones in it, so the cat got to enjoy this recipe too in the form of scraps! 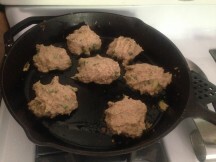 You can eat these as fish cakes or salmon burgers.